Gardening doesn’t have to be expensive. 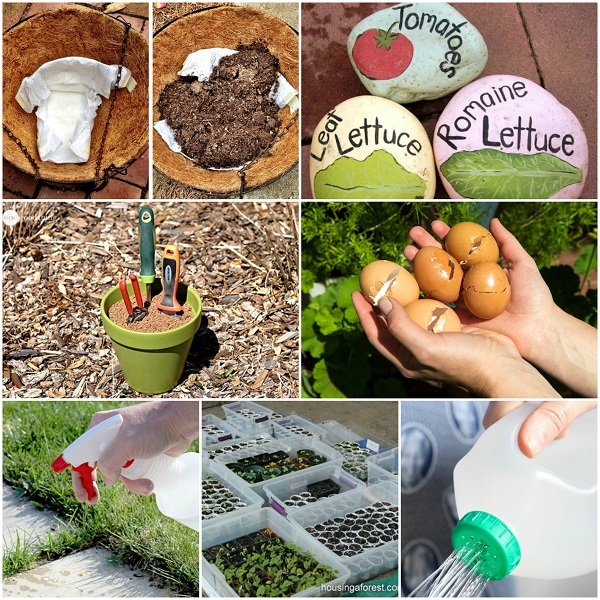 Many of the tools, pesticides and fertilizers you might think you need to buy at a greenhouse or garden store you can actually make on your own, without buying anything you aren’t already! The “hacks” we’ve gathered are designed to help you make the most of things you already have, without spending a lot of money! From ingredients like vinegar to using epsom salt and eggshells as fertilizer, we’ve found some of the easiest tips and tricks to get your garden blooming better… and for less money! A few of these projects are a little more time intensive, or may cost money to start with, but will save you a lot of time and money in the long run. So don’t hesitate, get reading, get inspired, and get hacking! DIY Plant Markers – These colorful plant markers are super cheap to make, will brighten up your garden and will help you remember where you planted what – why not get the kids involved by drawing the plants as well as their names! Homemade Vinegar Weedkiller – Why spend money on expensive weedkillers that can play host to harmful chemicals? 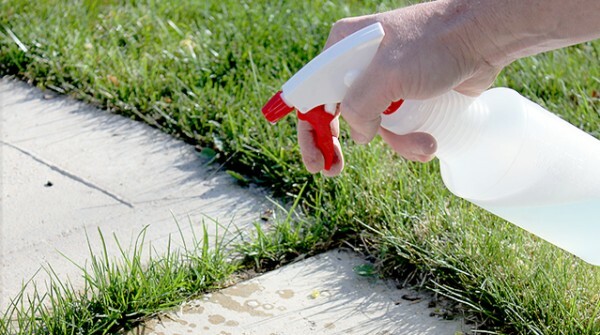 If you have vinegar in your home, you have a cheap and safe weedkiller. DIY Tomato Ties – You can turn an old, worn teeshirt into ties for your tomato plants and avoid spending money on one more little thing. DIY Seed Starting – This is a multi-step process, but it’s a great way to get your seeds started in a simple DIY greenhouse. Epsom Salt Fertilizer – Did you know that Epsom salt can help your garden grow bigger and healthier? Use this as a fertilizer and start harvesting more! Re-use Eggshells – Eggshells have a number of uses in the garden, so be sure to save your eggshells to use as a money-saver! 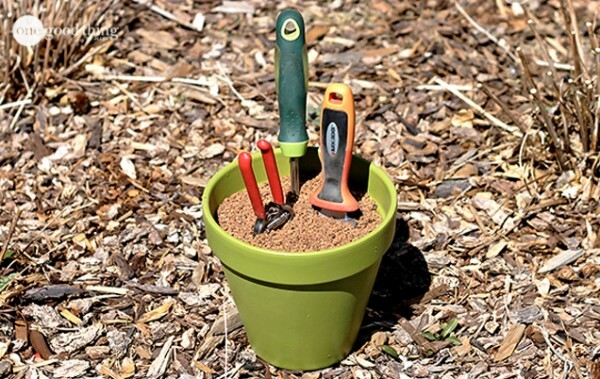 DIY Self-Sharpening Garden Tool Holder – No one likes dull gardening tools! Keep yours tidy and sharp with this simple, cheap project! 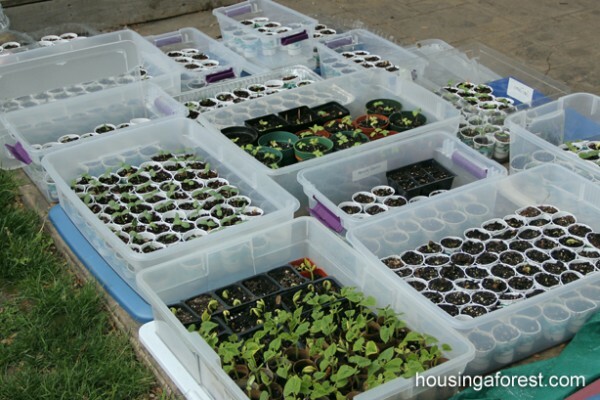 Start Plants from Kitchen Scraps – You don’t have to always start growing from scratch! You can use the remnants of some store bought produce to get your own started. 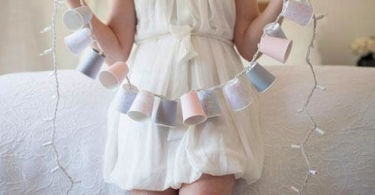 Diapers to Hold Moisture in Potted Plants – Seems like a silly idea, right? For the price of a diaper, you can keep your hanging baskets from drying out much longer. 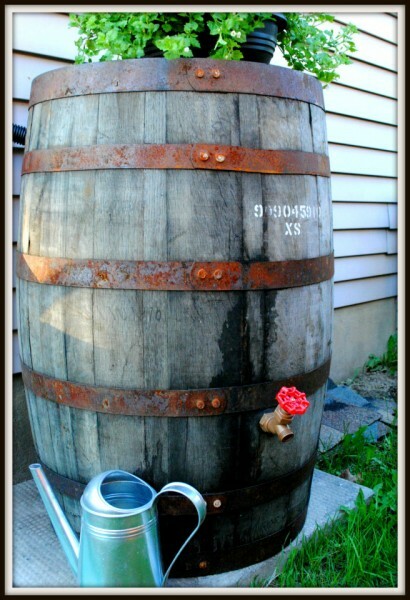 DIY Rain Barrel – Why waste money on watering your plants, when you can do it for free? A rain barrel might cost you money at first, but it’ll save you a lot more in the long run. Vegetable Cooking Water Fertilizer – Who knew that the water you were cooking your vegetables in could be used as a fertilizer? Just be sure to let it cool first! 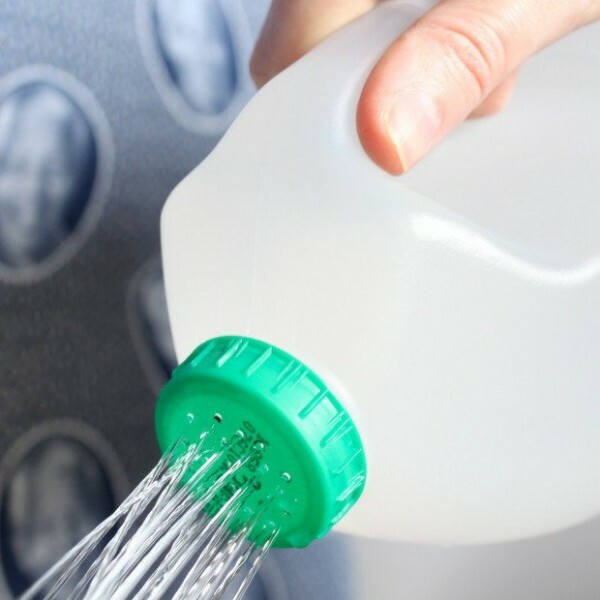 Milk Jug Watering Can – If you can’t find a watering can that suits you, or it’s just a tad too expensive for you, it’s easy to make your own out of a recycled milk jug. Seed Spacing Template – Time is money, and this tool will save you both! 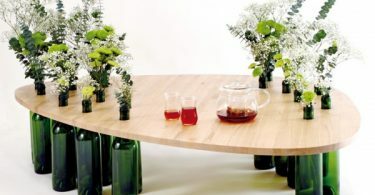 Wine corks on a board can be used to quickly and evenly space seeds.